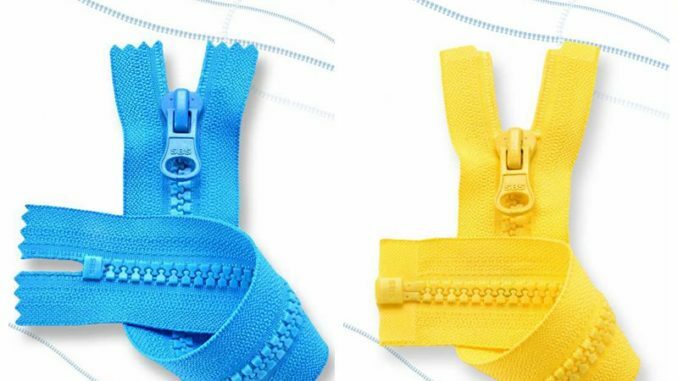 Zippers can be classified into 2 basic types, namely, open end zipper and close end zipper. The easiest way to tell an open end zipper from a close end zipper is by looking at the bottom stop. 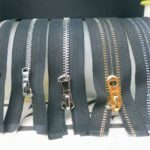 If the zipper can be fully opened at the end, with one side being able to be separated from the other side, it is an open end zipper (separating zipper) . This often follows the insertion pin and box mechanism. 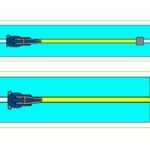 In some cases, the insertion pin is installed on the right and the box is attached on the left, while in other cases, the insertion pin is attached on the left and the box is installed on the right. In either case, the zipper will fall into 2 halves when it is completely opened, detaching from one another. If the zipper can not be fully opened at the end and the zipper halves won’t come apart completely when unzipped, it is a close end zipper. 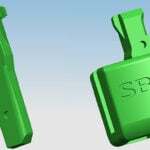 Based on functioning, both open end zippers and close end zippers can be further grouped into the following categories, which are applicable to metal zippers, plastic zippers and coil zippers. 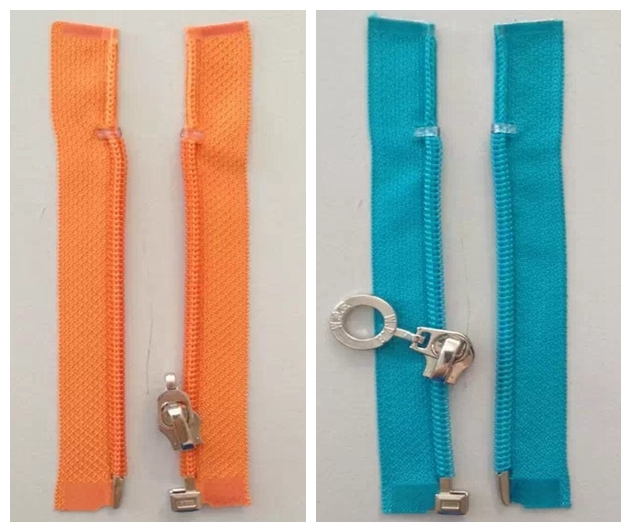 two way open end zippers/2 way separating zippers/dual separating zippers: including two sliders. 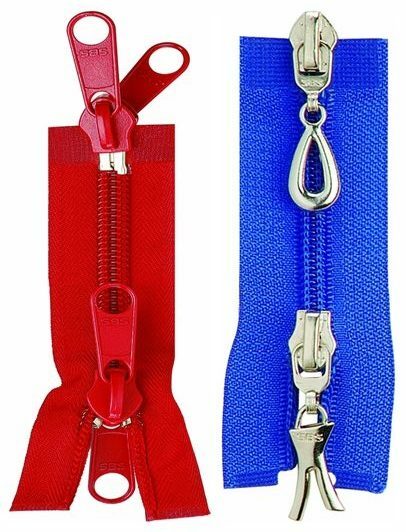 The zipper halves can be completely detached from each other, just like the one way open end zippers. 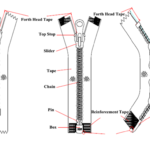 This type of zipper is commonly seen on long coats, long robes, overcoats, or heavy winter coats. 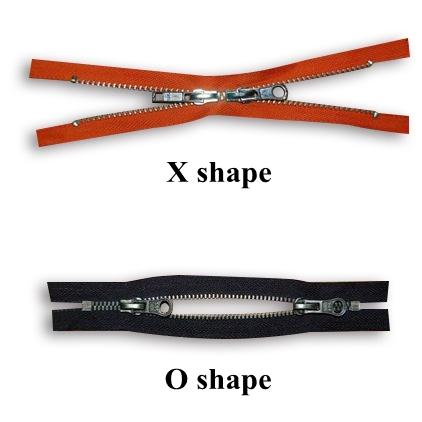 two way close end zippers: including O shape with two bottom stops and X shape with two top stops. Both sub-categories include 2 sliders. This type of zipper is commonly seen in the luggage industry. 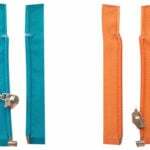 We hope this post will help you gain a better understanding of the application and classification of open end zippers and close end zippers. You can always reach out to us if you would like any further assistance.